Exactly 1 year ago, Sarah and I dined at the corner room, which is upstairs in the town hall hotel, Bethnal Green. So this year for Sarah’s birthday treat, we decided to go for the 7 course tasting menu downstairs at The Typing Room. The overall experience was fantastic and made a great deal better when Lee Wescott, came over to our table to introduce himself and wish Sarah a happy birthday! 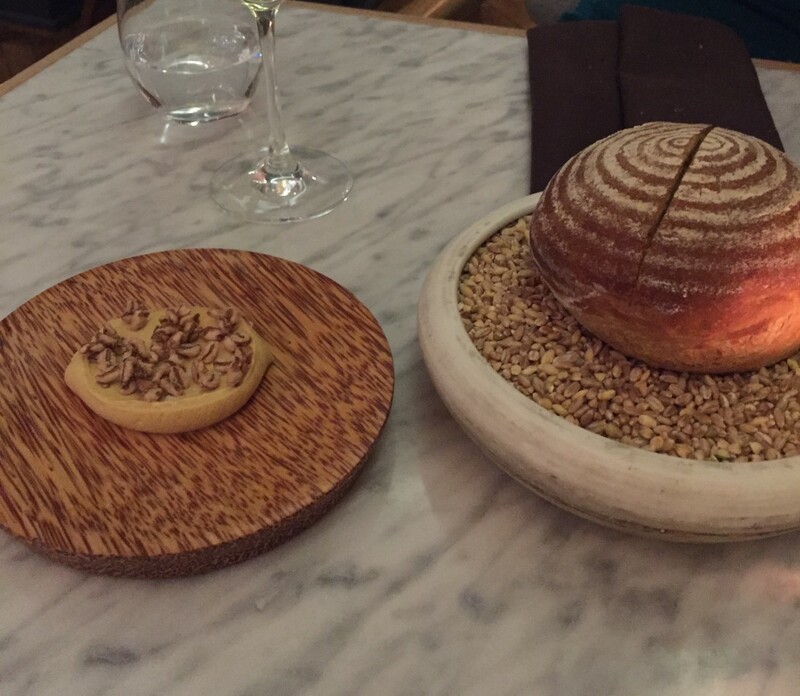 He sent us out a complimentary course, of ‘smoked eel with roasted chicken and bread consommé’, a personal highlight for me was the ‘IPA Sourdough bread with Marmite butter, truly an understated work of art, and would highly recommend anyone to check out this quirky/trendy restaurant.